Article - How to Celebrate Cinco de Mayo! What does Cinco de Mayo have to do with Old Fashioned Living? Glad you asked! Part of embracing old fashioned living and a simpler way of life from bygone days includes embracing your family heritage and celebrating traditional cultural customs in an act of remembrance and honoring your lineage. In the spirit of finding new ways to preserve older traditions, Cinco de Mayo provides just such an opportunity. How do you go about celebrating Cinco de Mayo (whether you have a Mexican heritage or not)? Here’s how. Learn about Cinco de Mayo and its significance. On May 5th, Mexican people around the world pause to celebrate their heritage and the historical Battle of Puebla. During the Battle of Puebla on May 5th, 1862, the Mexican Army (outnumbered and poorly equipped) battled the French Forces (who had gone undefeated for 50 years prior and were much better equipped). The Mexican Army fought hard that day against the French troops to win an unlikely victory under the leadership of General Ignacio Zaragoza Seguin. Since the Battle of Puebla, no country on the North and South American Continents has been invaded by a European military force. More reason to celebrate! Plan a fiesta in honor of Cinco de Mayo. Invite friends, neighbors, or coworkers to your fiesta in the spirit of camaraderie and freedom (two good reasons for celebrating Cinco de Mayo). Have each guest sign up to bring an authentic Mexican dish such as: chiles rellenos, mole sauce, Spanish rice, tamales, or enchiladas and celebrate potluck style. Or plan a kid’s fiesta for the neighborhood kids, your child’s class at school, or even for a Sunday school class. This creates a fun & festive atmosphere for teaching and learning about other cultures, topics such as freedom and political issues, and values such as sharing, showing kindness, and acceptance. You may want to make quesadillas (cheese filled tortilla) or sopapillas (crispy fried tortillas with cinnamon and sugar) for your kid’s party. Decorate for your fiesta! Either purchase or create piñatas for your fiesta. They are guaranteed to add fun and frolicking to your fiesta, and they make great conversation pieces too. 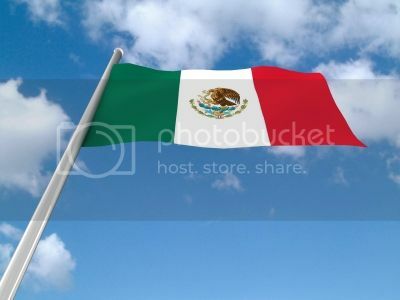 Shop for a Mexican flag to hang and party decorations in corresponding colors: green, white, and red. Many party stores carry paper plates, cups, napkins, favors and more in fiesta themes and bright colors. If you are planning a kid’s party, try your hand at some home-made maracas, shakers and noise makers. Sombreros and ponchos are also a nice touch if you really want to get in the spirit and dress up! Download Mexican tunes. A few different kinds of authentic Mexican music include Tejano, banda, cumbia, and Mariachi style. Your guests will appreciate your attempt at creating a fiesta atmosphere and ambiance for celebrating. If you have the room, such as a back yard, barn or other large room, plan on dancing to your Mexican music. Google authentic Mexican dancing and see what you come up with! It might be fun to take a few lessons to teach your friends, or meet up with them at a local dance studio to take lessons together for Cinco de Mayo. Get those feet moving! Some other ideas for celebrating Cinco de Mayo and embracing your Latin heritage include: taking a Spanish language course, Salsa dancing lessons, a Mexican cooking class, visiting the Mexican or Latin nation of your relatives or lineage, creating a family tree mapping your Mexican ancestry, decorating with Mexican style accents, teaching your children about Mexican customs and celebrations as well as everyday living. And even if you are not of Mexican or Latin descent, you can enjoy celebrating Cinco de Mayo with your family and friends for the simple pleasure of it. Honor your ancestors and the groups of people who have contributed in many different ways to our culture and society. Tia Davis is a writer, wife and mother, living happily ever after with her handsome prince and two charming boys in Western Idaho. She holds a Bachelor’s Degree in English and Creative Writing and works from home as a content manager. When she isn’t chasing little boys she is blogging about them at Mistress of Madness and Mayhem.